Hey, y’all! Welcome to Tuesday and another fun challenge from Stamp Ink Paper! Before we get started, though, let me remind you that the next reservation window for the new Stamparatus is opening today at 2PM Mountain Time! Be sure to get logged into my Online Store and place your reservation! I was also playing along with a couple of challenges to help me with colors and ideas! The first, from the Global Design Project, was a CASE the Designer challenge. And the second, from Sunday Stamps, informed the color combination! So – I started with a piece of the Cherrry Cobbler striped paper from the Be Merry DSP and matted it with Fast Fuse onto a Cherry Cobbler mat. For the middle panel, I cut a smaller piece of Whisper White card stock. Using wedges of Stampin’ Sponge, I started with Basic Gray Archival Ink around the top of the panel, and then transitioned to Smoky Slate. I kept the bottom of the inked area sort of irregular – to look like snow drifts! Pssst…even though there wasn’t any Pool Party in the challenge colors, I used just a bare touch of it in the gray sky to give it more depth and wintery color!! Next up, I stamped the bare-limbed tree from the Sheltering Tree stamp set in Basic Gray Archival Ink. Then I embossed the panel in the Soflty Falling TIEF and matted it on Cherry Cobbler. The sentiment, from the Snowflake Sentiments stamp set, is stamped in Cherry Cobbler ink on a piece of Vellum card stock and cut with the largest oval die in the Stitched Shapes Framelits. I cut some snowflakes with the Swirly Snowflakes Thinlits. The Silver Glimmer Paper snowflakes were cut with the long multi-snowflake die and snipped apart. I adhered part of one them to the card front – where it would end up under the art panel. Once it was down, I added the sponged and embossed panel with Fast Fuse and a touch of Liquid Glue (over the Glimmer Paper snowflake). Then I added the second Silver snowflake with Liquid Glue. The other snowflakes are cut from Dazzling Diamonds Glimmer Paper. I adhered them to the vellum sentiment oval and then used Mini Dimensionals under them and popped the oval onto the card front. I made a Billie Moan bow with some new Silver Baker’s Twine from the 2018 Occasions Catalog and adhered it with a Glue Dot (and there’s a Mini Dimensional under it, too!). I stuck one of the Dazzling Diamonds snowflakes on with another Glue Dot and then added a small Clear Facteted Gem. I also added those Gems to the other snowflakes and the card front was done! On the inside, I matted more of the Be Merry DSP on Cherry Cobbler and added a Cherry Cobbler-matted smaller Whisper White panel with Fast Fuse. Then I adhered a Silver Glimmer Paper Swirly Snowflake die cut with Liquid Glue. I Fast Fuse’d the liner into my Basic Gray card base, popped the card front on with Stampin’ Dimensionals, and the card was done! …and more of the striped paper from the Be Merry DSP on the envelope flap. Et Voila! I sorta love this gray snowy day – and the Softly Falling TIEF really helps it looks like snow drifts building up, don’t you think? The Snowflake Sentiments stamp set and Swirly Snowflake Thinlits are carrying over at least into the Occasions Catalog – whoo-hoo – but the 10% off bundle price will go away – so grab it now if you don’t have it!! Hope you like! For more information about my Peppermint Reward points (my buyer reward program) and to learn why TRIPLE PEPPERMINTS is so good, click here. Bump up the goodness with FREE SHIPPING when your order (before taxes and shipping) is over $100!! I’m offering free shipping on orders over $100 placed through me between today (4 Dec) and 11 Dec. And – of course, you’ll also get those TRIPLE PEPPERMINTS!! If you place your order online, don’t forget to add the host code (if your order is under $150) to get your free gift! If your order is over $150, please don’t use this code (you’ll miss out on your own Stampin’ Rewards if you use it) but you’ll still get a free gift. I hope you’ll take advantage of this super offer, y’all! It’s not going to last long – less than a week to go! 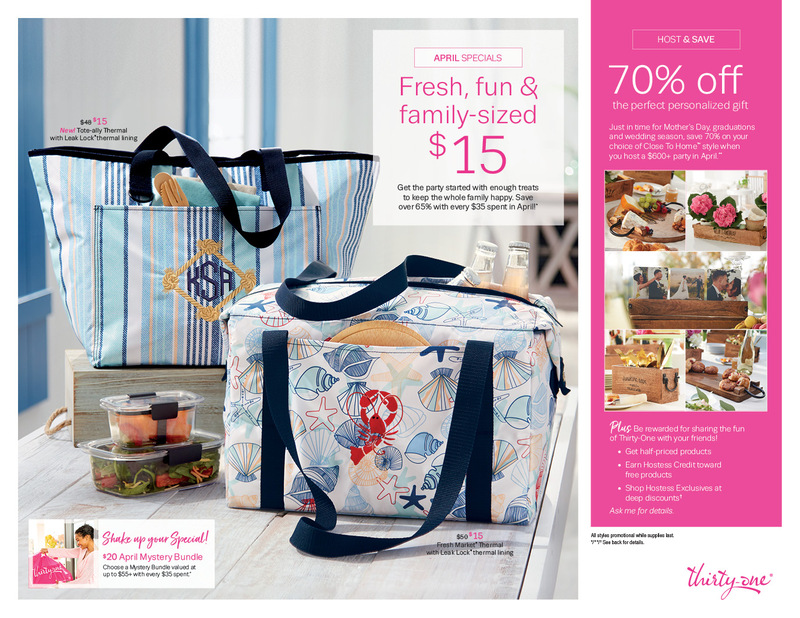 Do You Need an Occasions and Sale-A-Bration Catalog?! I just ordered all my catalogs and they’ll be here early next week. I’ll do my best to get them out the door by the weekend. If you’ve ordered from me within the last year, you’re already on my list to receive a copy of the catalogs. These are awesome Catalogs, y’all!! I’m so excited for you to see it! If you’re not a current customer of mine but would like to be, you can request your copies of the catalogs on my Contact page right here. I’ll be mailing them out just as quickly as I can once they arrive at my house! The Great Year-End Sale Has Begun! Get’cher smiles on folks and grab these goodies – before they’re gone! Check out the Retiring and Surplus Items List…. THE NEXT WINDOW OPENS TODAY AT 2PM MOUNTAIN TIME! The results are in! The first Stamparatus reservation window reached its maximum number of reservations in just 15 minutes, which provided us with some very important information: You LOVE this new stamping tool! We couldn’t be more thrilled; in fact, your response was so amazing that we’ve decided to make some important adjustments to the reservation process. As was previously announced, the second reservation window will remain open from December 5–30; however, during this reservation period we will take as many orders as we receive (yay!) and not close the window until December 30. So whether the total number of reservations is 100 or 100,000, the window will stay open! We can’t wait for you to get your hands on your very own Stamparatus and look forward to seeing the projects you’ll make with this incredible stamping tool. I’ve got all the information over on my Promotions page – including a super little video with lots of information on this wonderful new stamp placement tool. Be sure to check it out – peruse the how-to-reserve-your-Stamparatus tutorial you’ll find there, and then mark your calendar for the next reservation window on 5 Dec!! …and finally…well. He’s not in this picture. He’s behind me snoring. A guy still has to get his nap time in!! Sorry to start the week with an oxymoron! Although this is a good week on a couple of levels – one…it’s ONSTAGE WEEK!! Whoo-hoo! I work tonight and tomorrow night and then it’s off to OnStage with 8 of the ladies in our team and no-telling how many other demonstrators! We’re touring the Home Office on Wednesday then Thursday the Main Event begins!! And – then when I get back on Sunday….that will leave just one more week till I go home! Whooo-hooo!! I’m really ready, y’all! If you were able to join me last night for my Facebook Live video – thank you so much!! If not, but you’d like to see the card we made, here’s the link to it on YouTube! I started with a piece of Very Vanilla card stock and, with the Big Shot, cut the Card Front Builder Thinlits double and single tree shapes from near the top. I used the same dies to cut the shapes from a piece of Christmas Around the World DSP. Then I stuck the plaid cuts inside the negative spaces and used scotch tape on the back to secure them in place. I ran the panel back thru the Big Shot, cutting the trees a second time. Check the video for a tip about placement, okay? The insides of those negative spaces are filled with Garden Green die cuts – in the same way I did the plaid trees. Then I embossed the panel in the Softly Falling TIEF and matted the whole thing on a Real Red mat. My sentiment, from Christmas Quilt, is stamped on a strip of Very Vanilla in Real Red. I bannerized the end with my Paper Snips and edged it with my Garden Green Stampin’ Write Marker. It’s popped on the card front with Stampin’ Dimensionals – both regular and Mini. I cut another Christmas Around the World Card Front Builder tree, covered it with glue from my Fine-Tip Glue pen and “sugared” it with Dazzling Diamonds Stampin’ Glitter. Then I used Liquid Glue to adhere it to another tree in Very Vanilla. I used some Dimensionals on the back to wind a few loops of Gold Metallic Thread and, with the addition of a little Liquid Glue, added it over the sentiment. I added a few gold stars from the Metallics Enamel Shapes and the card front was done. On the inside, I cut another double tree with the Card Front Builder Thinlits at the bottom of a Very Vanilla panel. I stuck in another Christmas Around the World DSP tree (using some scotch tape on the back) and then adhered a Very Vanilla die cut over the top with Liquid Glue. I Fast Fuse’d the panel to a Real Red mat and into my Thick Very Vanilla card base, popped the card front on with Stampin’ Dimensionals and the card was done! …and more Christmas Around the World DSP plaid on the envelope flap. Et Voila! For all that this one bamboozled me on Saturday night, I’m pretty happy with how it turned out! I love love love this plaid paper and those trees in the Card Front Builder Thinlits are just the best, don’t you think!? Don’t forget the sweet and simple sentiment courtesy of the Christmas Quilt stamp set! Hope you like! P.S. Even as my trip draws to a close – my Stampin’ Blends special bundles and Double Peppermints offer is ending even sooner! You’ve only got until the 14th to take advantage of these great deals! Just sayin’…. Stamps-N-Lingers Stampin’ Blends Flash Sale and Ordering Special! Along with the Stampin’ Blends themselves, we’ve got a wonderful new stamp set called Color Me Happy! And a coordinating Project Kit called – yes, the Color Me Happy Project Kit! And – you use the Color Me Happy stamp set to make all the images and color them with your new Stampin’ Blends! This kit coordinates with the Pool Party, Pumpkin Pie, Rich Razzleberry and Pink Pirouette Stampin’ Blends. One thing you should make note of….both the Color Me Happy Stamp Set and the Color Me Happy Project Kit are only available while supplies last! More specifically – the stamp set is only available as long as the Project Kit supplies last. So…tarry not! Here’s a great flyer if you haven’t seen it – with all sorts of good information! They come in a wonderful array of our bestest Stampin’ Up! colors! A handy color chart might be useful, yes? Click it to open and print! The full Stampin’ Blends Collection – which includes all 26 colors (including the Ivory and Bronze), plus the Color Lifter! FREE – Tuxedo Black Memento Ink and Refill, plus a pack of Thick Whisper White Card Stock! Maybe you’re not quite ready to take such a plunge? Well – the Starter Bundles may be just what you’re looking for! Stampin’ Blends (light and dark) in Pumpkin Pie, Pool Party, Rich Razzleberry and Pink Pirouette. Don’t forget – with either bundle, you’ll get the November Online Tutorial which uses the beautiful Night in Bethlehem stamp set and bundled Bethlehem Edgelits. We made some super projects for you this month – just in time for Christmas giving! How do you get in on the fun? Well – fill out the form below. As soon as I get your order, I’ll blast you a PayPal invoice. Once you’ve paid that, I’ll place your order and they’ll be on their way! Easy. Hope you’ll take advantage of this deal – it’s good only thru the end of the day on 14 November! Only about a week left! Stampin’ Up! Home for Christmas brings Lots of Joy. A very versatile pair!